On your own do the following: Fly into Milan. Find a bus to the Central Train Station. 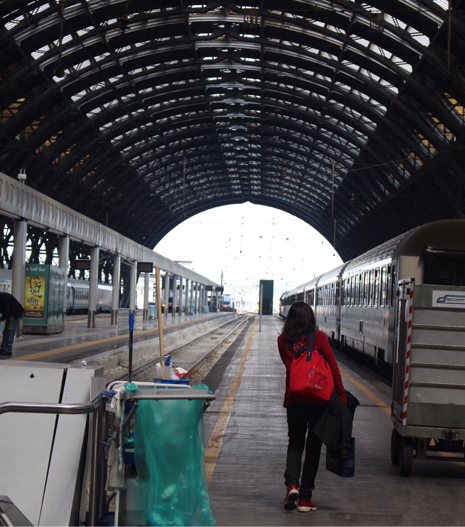 Then buy the right ticket to catch the right train to the right town-- Varenna. The train may or may not stop and the doors may or may not open. Whatever, be ready with your luggage to do a rolling half pike out the window onto tracks which may or may not be near the station. My first time to Europe and somehow I made it from Portland, Oregon, to Varenna, Italy. I decided to walk to the hotel in Varenna from the train station. Walking DOWN the hill to the lake side trail, I pulled my luggage along, relishing the view and an opportunity to stretch my legs after a 14 hour flight. When I felt like I'd surely gone far enough to reach the hotel, I asked for directions at a shop. The lady pointed to the stairs beside the shop and indicated I needed to climb them until I reached the church at the top and there I'd find what I sought. Her directions were exactly right. These were neither the last--far from it--nor the steepest stairs in the days ahead. 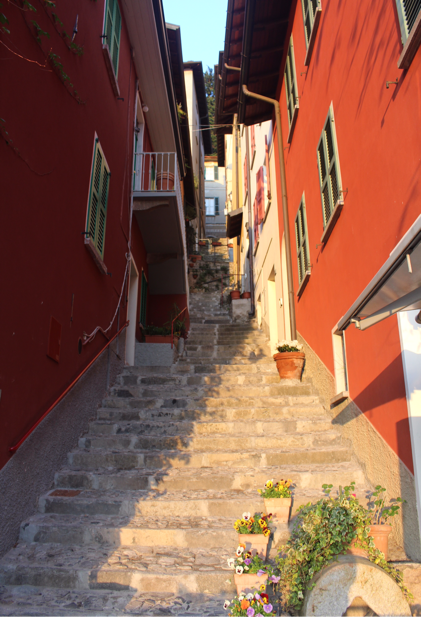 Indeed, Italy gave me a whole new respect for stairs and ancient stones.